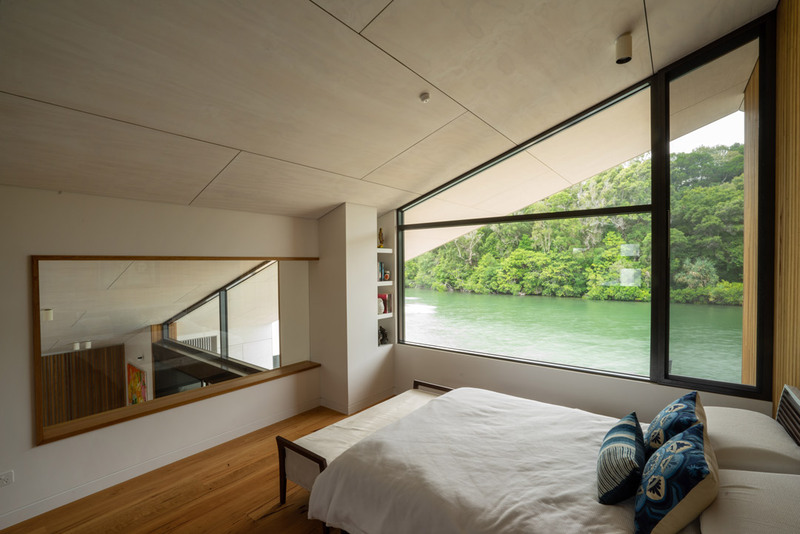 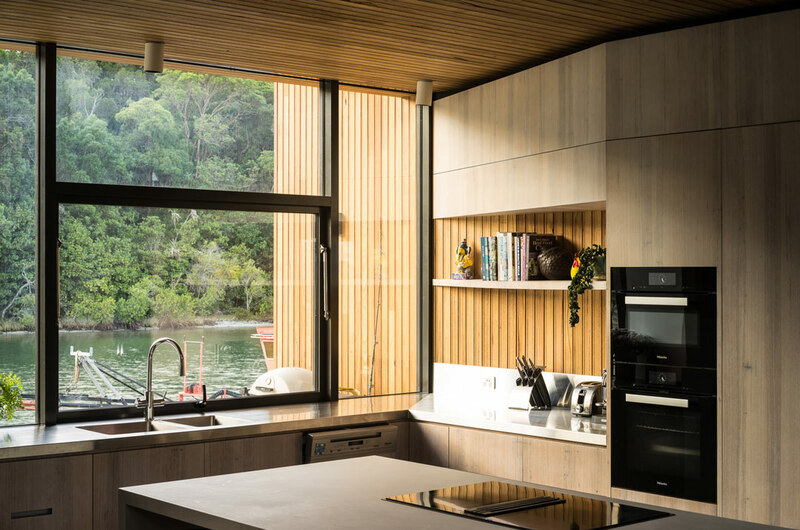 Located along Noosa Heads River, MCM Pavilion prioritises environmental performance, adaptability and family amenity, demonstrating that beautiful architecture shouldn’t be to the detriment of the environment. 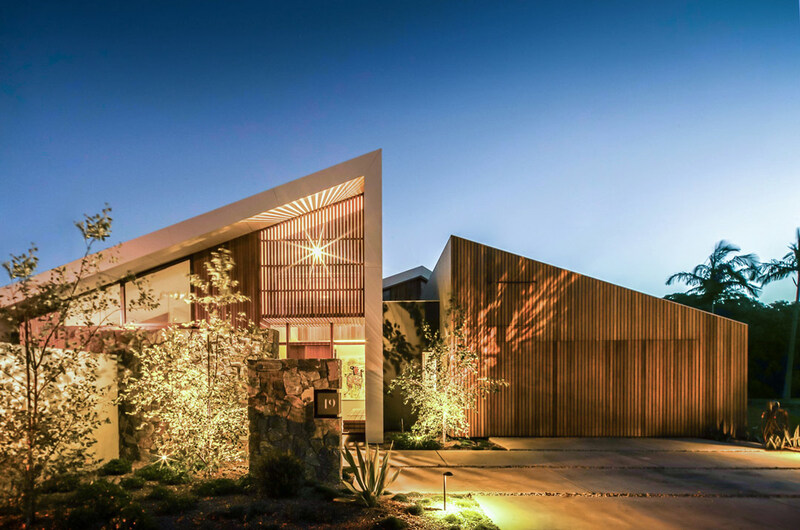 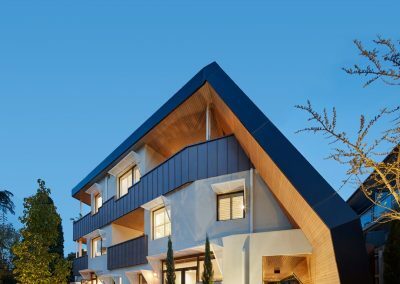 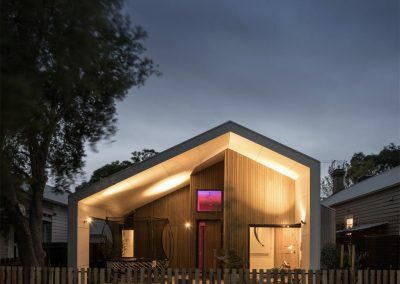 Reinterpreting traditional Queenslanders, the geometry and plan are shaped to optimise performance while materials, textures and lighting work symbiotically to create warmth and beauty. 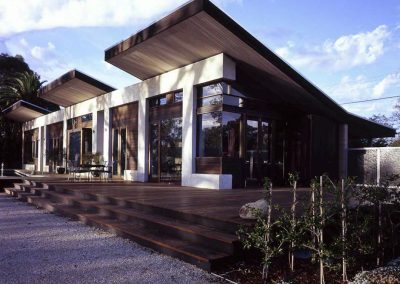 With sustainability and flexibility at the core of the design, the MCM Pavilion was conceived as two linked pavilions. 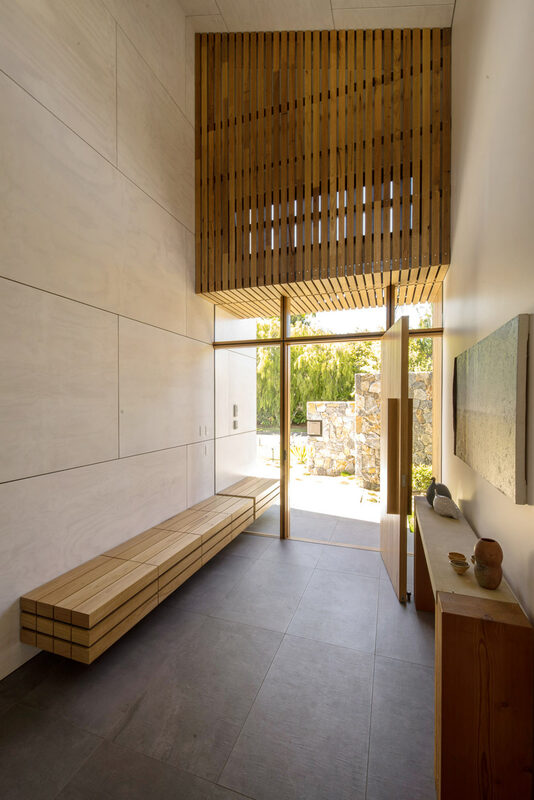 A series of courtyard spaces connect the pavilions, encouraging inhabitants to move seamlessly between inside and outside while providing more intimate spaces for the family to rest or play. 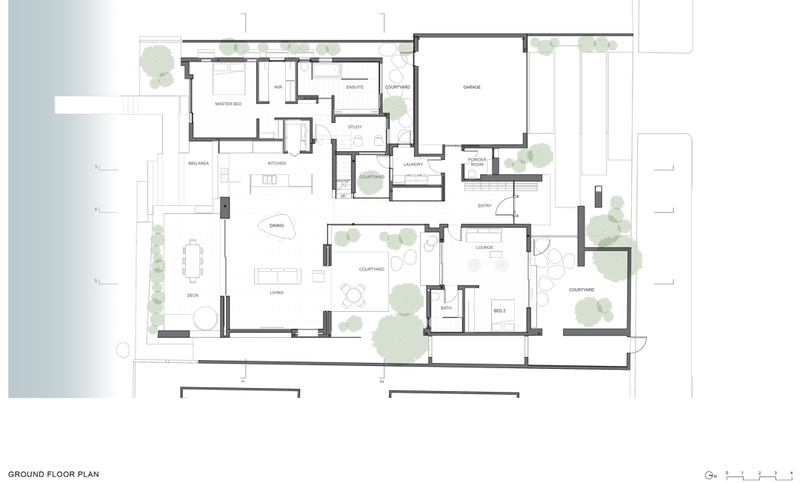 The open plan kitchen and living space act as a central hub connecting into the network of indoor and outdoor spaces, allowing this hub to expand into the courtyards and waterfront deck during large family gatherings. 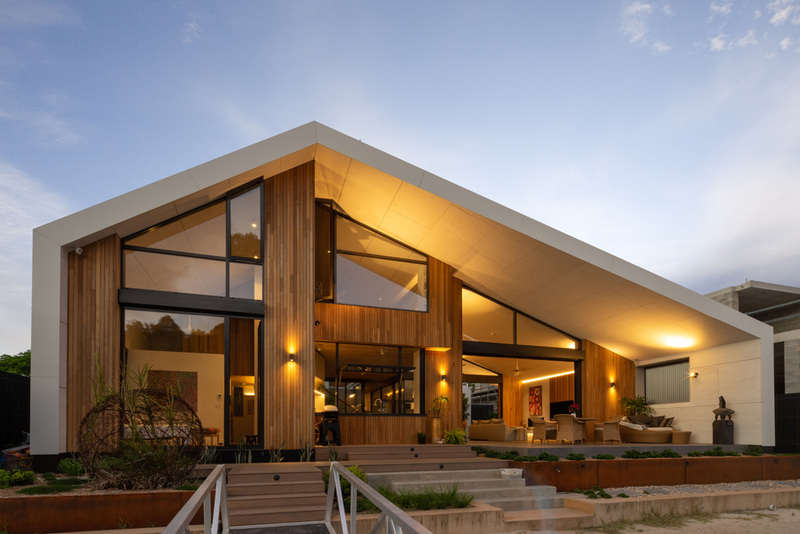 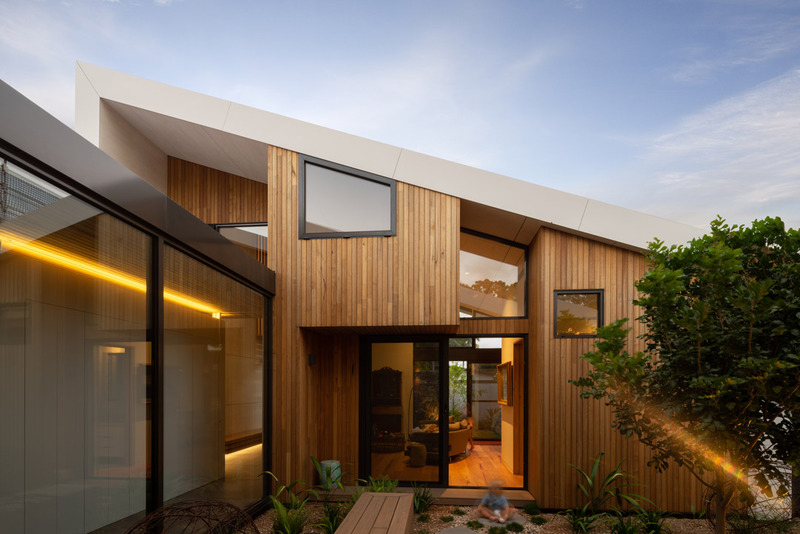 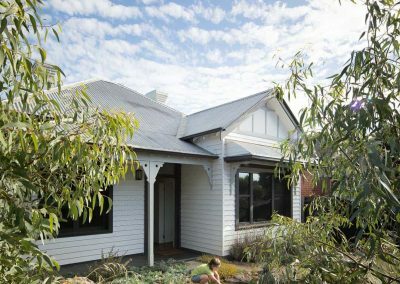 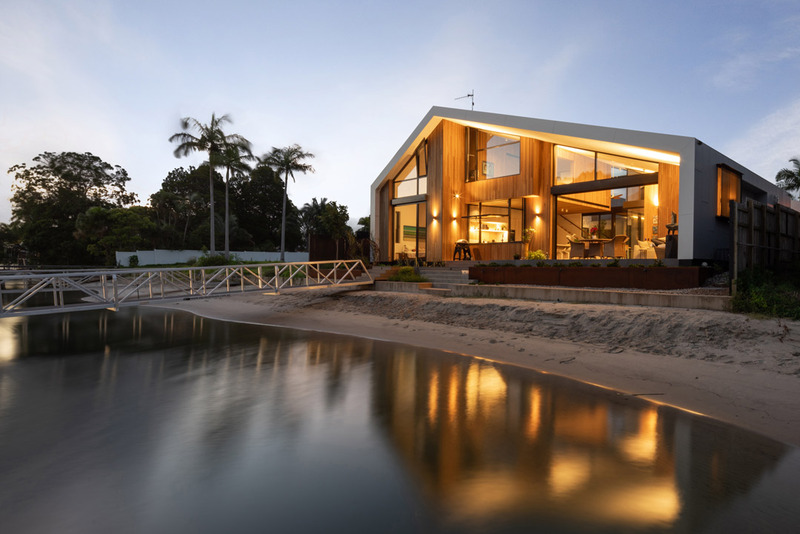 Conceptually this home is a chameleon – it operates comfortably as an open freely ventilated Queenslander with lofty ceilings, shady retreats, and indoor outdoor living. 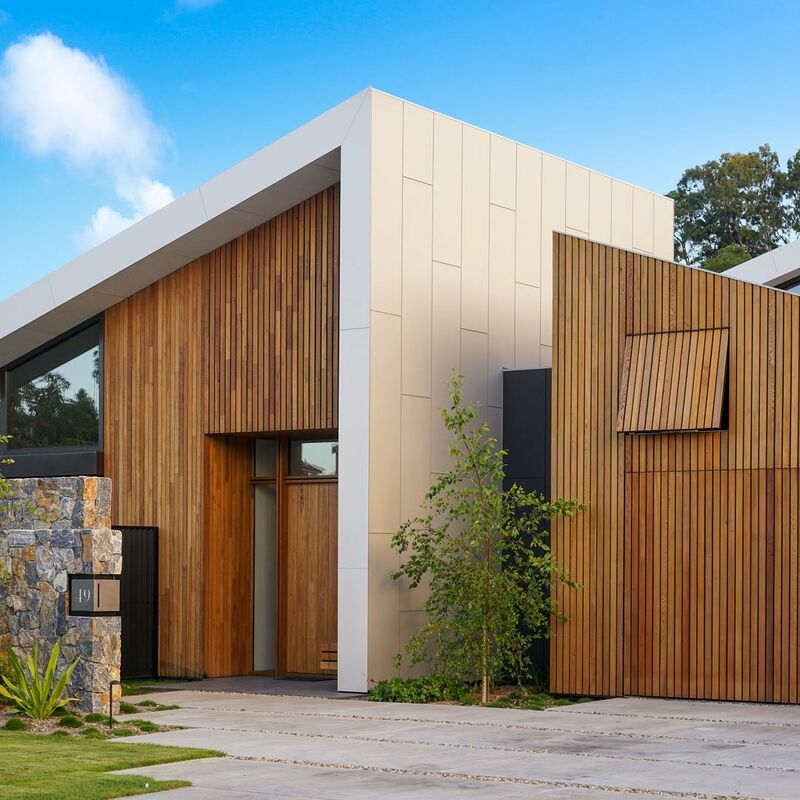 But with the advent of increased heat waves and higher humidity, architecture located in the sub tropics needs the ability to quickly morph in to a completely different mode – the super-efficient climate controlled home. 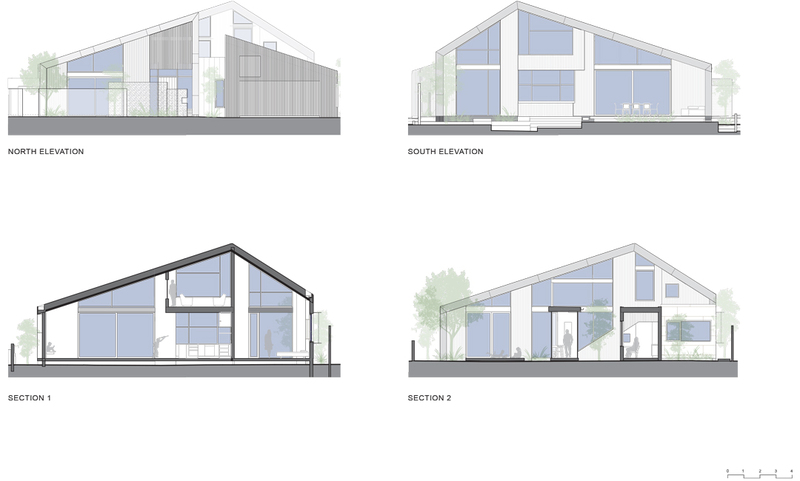 These seemingly diametrically opposed strategies have been embedded in to this design.